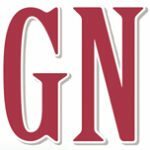 The Town of North Hempstead is stepping up patrols this summer. 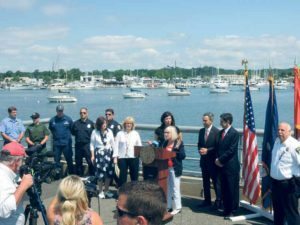 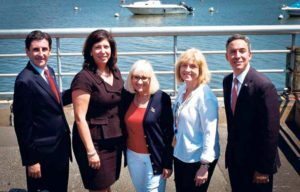 Enjoying Long Island’s waters safely is the priority of the Town of North Hempstead, especially because alcohol use is the top contributor in fatal boating accidents, accounting for 21 percent of deaths, according to Recreational Boating Statistics. 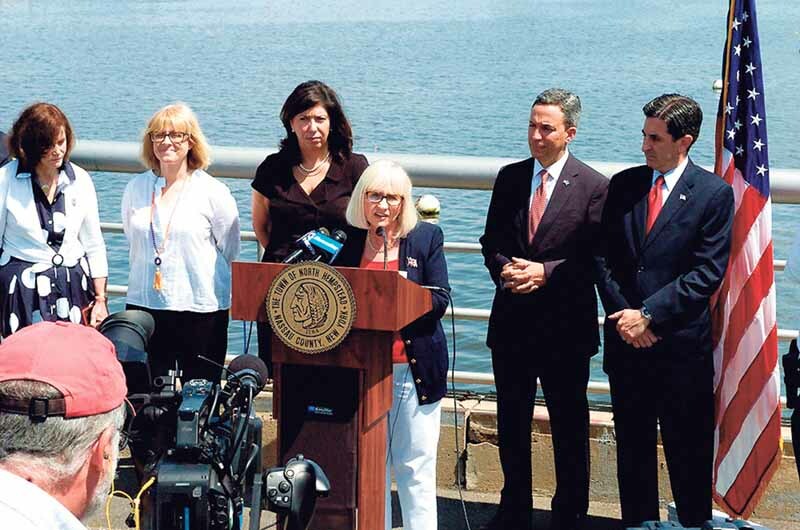 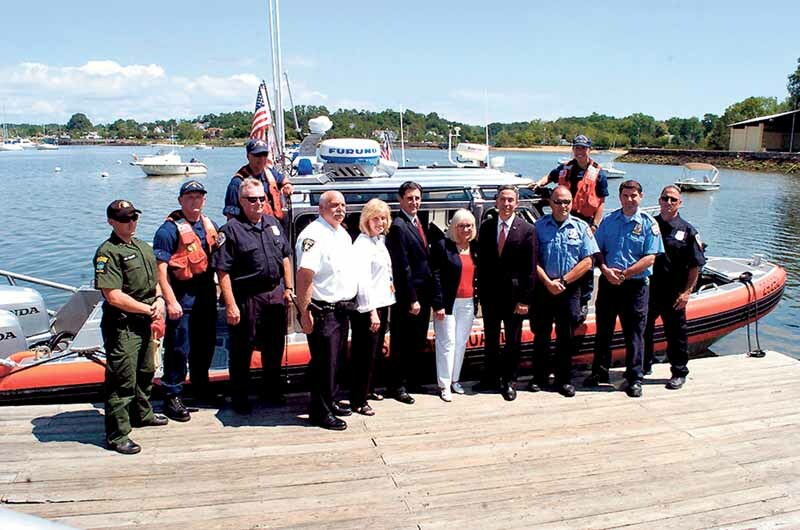 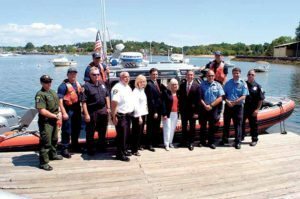 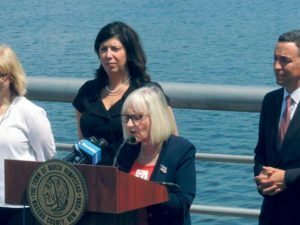 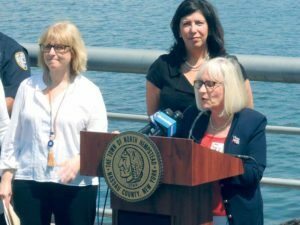 Nassau County law-enforcement agencies, elected officials and the Nassau County district attorney warned local residents about the dangers of Boating While Intoxicated (BWI) at the Town Dock in Port Washington on June 30. 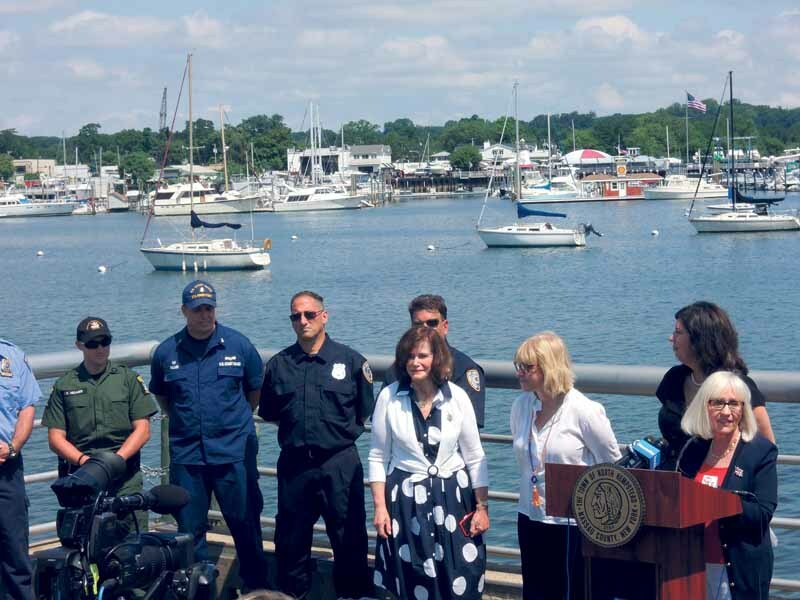 In New York state, anyone operating a boat, Jet Ski or other watercraft with a blood alcohol content of .08 percent or higher will be arrested for BWI. 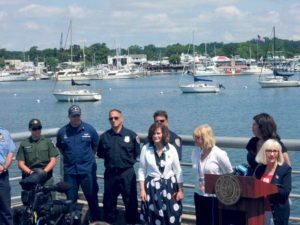 The punishment for a first offense of BWI (a misdemeanor) is a maximum of one year in prison, a fine of no less than $500 and no more than $1,000 or both a fine and imprisonment. 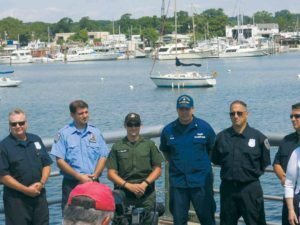 Second and third offenses within specific time periods are felonies and have harsher penalties. 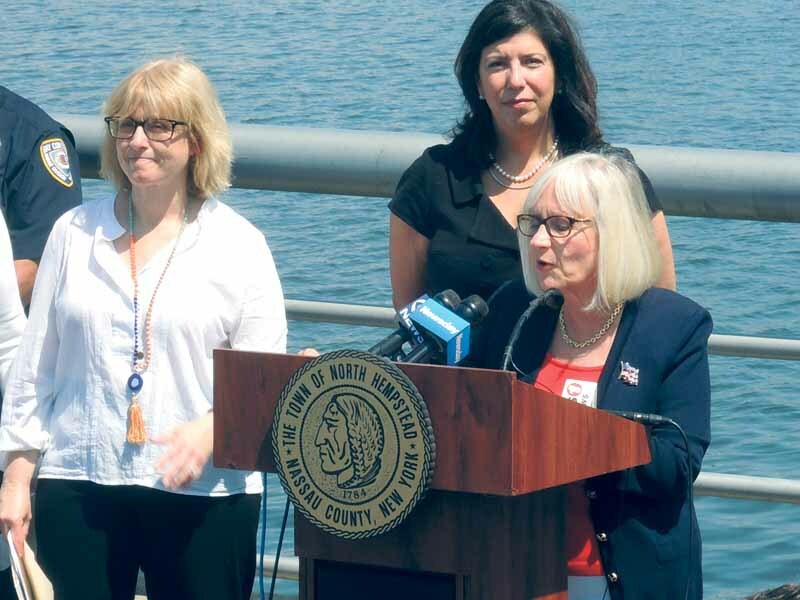 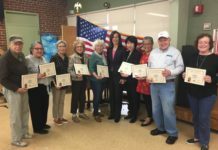 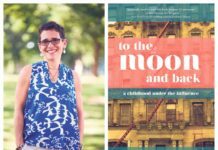 New York State Senator Jack Martins and Assemblywoman Michelle Schimel informed residents about Tiffany Heitkamp’s Law, recently passed by the Senate and Assembly, which directs judges to consider previous DWI convictions upon sentencing BWI defendants. Bosworth also informed residents about some staggering statistics regarding accidents on the water. 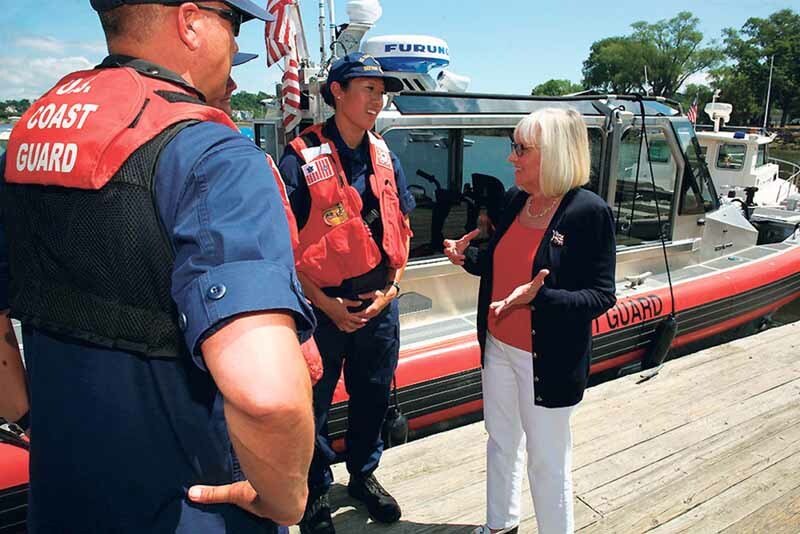 According to Recreational Boating Statistics, an annual report that contains statistics on recreational boating accidents, in 2014 the Coast Guard counted 4,064 accidents that involved 610 deaths, 2,678 injuries and approximately $39 million worth of damage to property as a result of recreational boating accidents. 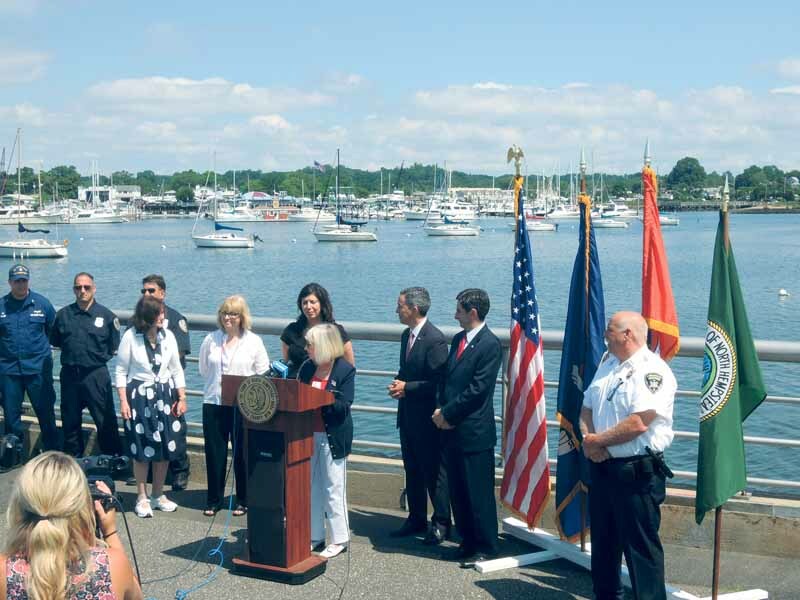 For more information on safety tips and navigation rules, call 311. 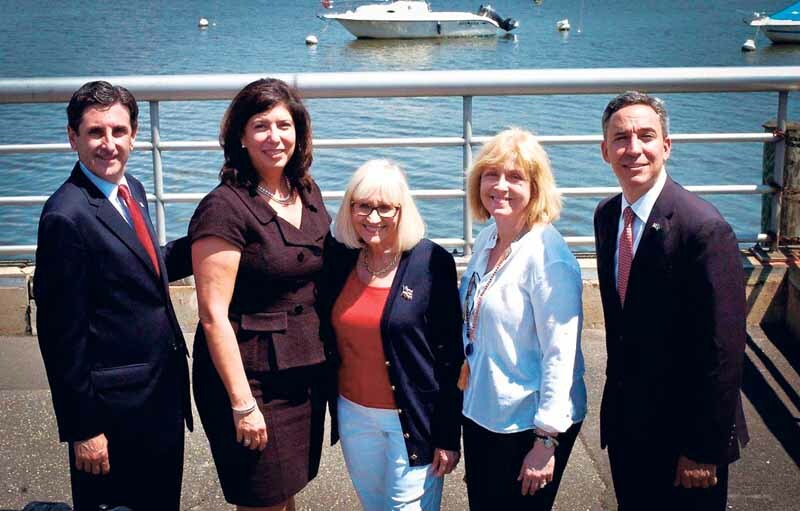 The tide table for Manhasset Bay is available at www.northhempsteadny.gov/harbor-and-marine.